THE SPIRIT OF THE GEORGIA PRISON STRIKE SPREADS! Prisoners whose death sentences were for heinous crimes are able to win privileges based on good behavior, but not the death-sentenced Lucasville uprising prisoners. 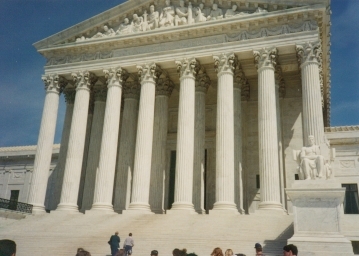 Meanwhile out in the world, the U.S. Supreme Court has granted additional due process rights to some of the Gauantanamo prisoners, some death-sentenced prisoners have been exonerated or had their sentences commuted, an evidentiary hearing was ordered for Troy Anthony Davis, and prisoners in Georgia are engaging in a non-violent strike for improvements in a wide range of conditions. So the four death-sentenced Lucasville uprising prinsoners have decided that being punished by the worst conditions allowable under the law has gone far enough, especially since their convictions were based on perjured testimony. They are innocent! They were wrongfully convicted! They are political prisoners. This farce has gone on far too long and their executions loom in the not too distant future. These brave men are ready to take another stand. We ask that you get ready to support them. 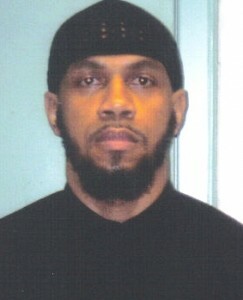 The hunger strike will proceed in an organized manner, with one prisoner, probably Bomani Shakur starting on Jan.3. The hunger strike becomes official after he has refused 9 meals. Therefore the plan is that 3 days later, Siddiquie Abdullah Hasan will start his hunger strike and 3 days later, Jason Robb will follow. Namir Mateen has a great willingness to participate and plans to take part to the extent that his diabetes will allow. On the birthday of Dr. Martin Luther King, Jr., Saturday, Jan. 15, we will be holding a press conference about the hunger strike and other issues pertaining to Ohio State Penitentiary. Details of time and location are being worked out. 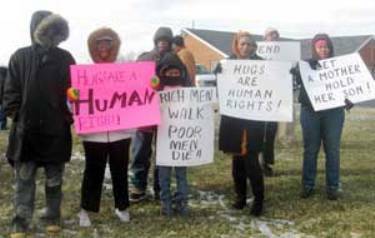 There will very likely be a brief rally near the gates of OSP, as we have in previous years to honor Dr. King, to protest the death penalty and to protest the farce of the Lucasville uprising convictions. There will probably be one or more vans and/or a car caravan to OSP for the event. Stay tuned for more information. Go to Lucasville uprising to read first chapter of Lynd’s book. As this is written on Christmas Eve, a small group of death-sentenced prisoners at the Ohio State Penitentiary (OSP) have declared their intention to begin a “rolling hunger strike” on Monday, January 3.
Who are they? What are their objectives? What is this all about? All these men were sentenced to death in trials conducted in 1995-1996 for their alleged roles in the 11-day rebellion at the Southern Ohio Correctional Facility (SOCF) in Lucasville, Ohio in April 1993. 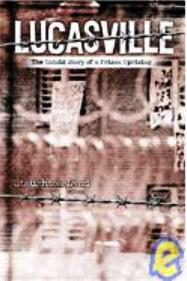 See my book Lucasville: The Untold Story of a Prison Uprising (Temple University Press: 2004), to be re-issued in 2011 by PM Press, Oakland, CA, with a Foreword by Mumia Abu Jamal. Hasan and Robb were two of the three men who negotiated a peaceful surrender. Tragically there were ten deaths during the disturbance (nine prisoners and one hostage officer). But thanks to the way the “Lucasville riot” ended, there were far fewer fatalities than at Attica, New York in 1971, where more than forty persons died. If we seek the death penalty against men who helped to bring a bloody riot to a peaceful end, what will happen the next time? Judge James Gwin of federal district court noted with amazement during the trial of the prisoners’ class action, Austin v. Wilkinson, that death-sentenced prisoners at the highest security level in the Ohio State Penitentiary wanted to be returned to Death Row! 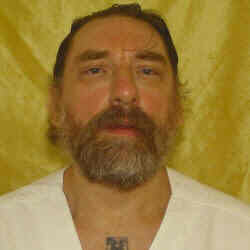 The fundamental reason offered by the Lucasville defendants for a hunger strike is that throughout their more than seventeen years of solitary confinement, they have been subjected to harsher conditions of confinement than the more than 150 other men sentenced to death in Ohio. The conditions under which the death-sentenced Lucasville prisoners are confined prevent them from ever being in the same space as another prisoner. 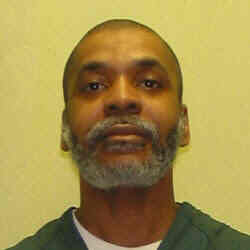 At the time of the 1993 uprising Ohio’s Death Row, as well as its execution chamber, was located at Lucasville. In the mid-1990s, the execution chamber remained at SOCF but death-sentenced prisoners were transferred to the Mansfield Correctional Institution (ManCI) north of Columbus. One reason for the transfer, it seems, is that correctional officers at SOCF came to recognize death-sentenced prisoners as human beings and found it distressing to be part of execution teams. 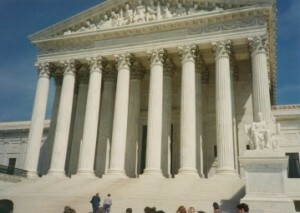 The frustration expressed in the Mansfield hunger strikes came to a climax on September 5, 1997. Prisoners in DR-4, the living area at ManCI in which the Five along with a much larger number of other death-sentenced prisoners were being held, occupied the “pod” for approximately six hours. The correctional officers on duty were overpowered and then released unharmed. There was some prisoner-on-prisoner violence against Wilford Berry, who had given up his appeals and volunteered for execution. When a SWAT team of officers assembled from all over Ohio stormed DR-4 late in the evening, the prisoners had returned to their cells. An investigating committee consisting wholly of prison administrators found that the SWAT team had used excessive violence. Jason Robb, apparently singled out because of his alleged role in the riot four years earlier, was beaten especially badly, had his skull fractured, and almost lost an eye. Unequal treatment continued when the death-sentenced Lucasville defendants were transferred to OSP in Youngstown. 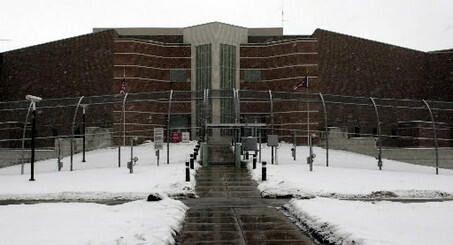 Judge Gwin found that OSP was constructed “in reaction to the April 1993 riot at the Southern Ohio Correctional Facility at Lucasville.” Consistently with this conclusion, the five alleged leaders of the 1993 occupation were transferred to OSP within two weeks of its opening in May 1998. At OSP they are housed, not in the less restrictive conditions experienced by other death-sentenced prisoners, but in the high maximum conditions specific to the highest level of security in Ohio, so-called Level 5. — They are “in 23-hour lockup in a hermetically sealed environment where they have almost no contact with other living beings — human, animal, or plant.” When released from their cells for short periods of “recreation” they continue to be isolated from other prisoners. “You were admitted to OSP in May of 1998. We are of the opinion that your placement offense is so severe that you should remain at the OSP permanently or for many years regardless of your behavior while confined at the OSP” (emphasis added). But Hasan, LaMar, Robb, and Were have been told that they will remain in the conditions of confinement decreed by State administrators regardless of their “future behavior,” that is, their behavior while at OSP. Other prisoners sentenced to death for alleged crimes comparable to those for which Hasan, LaMar, Robb, and Were were found guilty have been moved off Level 5: to Death Row at OSP, to Level 4 at OSP, and out of OSP entirely to ManCI. One of the four Lucasville defendants asks, Must I have a mental breakdown in order to get off Level 5? Another apparent reason that these men are desperately opting for the life-threatening practice of a hunger strike is the State of Ohio’s present practice of seeking to execute one man every month. In the Youngstown diocese, Catholic churches continue the practice of ringing their bells when an execution occurs. 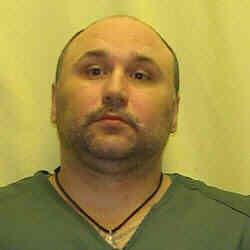 At OSP, prisoners know when the van is about to leave OSP to take a man to Lucasville to be killed. A person whom they have known as a friend, alive and well, is suddenly gone and dead. This works a psychological hardship on survivors. The remaining death-sentenced prisoners, some with a specific “date,” know that sooner or later the van will come for themselves. Incredibly, Ohio was the only one of the fifty states to execute more prisoners in 2010 than in 2009. In 2010 Ohio executed more prisoners than any other state except Texas. Of the 46 executions in the entire country, Texas executed seventeen and Ohio eight, or 17 percent of the total number of executions nationwide. There is strong evidence that the Lucasville capital defendants have been singled out because of their supposed leadership roles in the 1993 rebellion, not because they killed anyone. The State of Ohio still does not know who actually killed hostage officer Robert Vallandingham. In various court pleadings, the Special Prosecutor has offered different lists of the hands-on killers. None of the men sentenced to death appear on any of these lists. Readers can help by contacting Professor Jules Lobel, vice president of the Center for Constitutional Rights, and Professor Denis O’Hearn, director of graduate studies in sociology at the State University of New York, Binghamton. They are circulating a statement of support nationally and internationally. PLEASE OVER LOOK THE FACT THAT I’M A CONVICTED CRIMINAL. AS I TAKE A STAND FOR WORKERS RIGHTS,HUMAN RIGHTS,INMATE RIGHTS IN AN EXPRESSION OF SOLIDARITY WITH ALL OTHER PEOPLE STRUGGLES ACROSS THE WORLD. 5-19 11 THIS WAS DECIDED BECAUSE I’VE CONSTANTLY BEEN DENIED MEDICAL TREATMENT AFTER I WAS GIVEN OTHER INMATES MEDICATION AND SUBSEQUENTILY FELL AND BUSTED MY HEAD 3 TIMES, AFTER INITALLY BEING PLACED ON MEDICAL OBSERVATION FOR 4 HOURS. I WAS RELEASED, AS IT WAS STATED THAT THE EFFECTS OF THE MEDICATION SHOULD HAVE WORN OFF BY THAT TIME. HOWEVER DUE TO FALLING , I HAD HURT MY HEAD AND UPPER BACK I NEVER SAW A DOCTOR UNTIL AFTER I FELL AGAIN 3 DAYS LATER. I COULD NOT MOVE AND WAS TAKEN TO AN OUTSIDE HOSPITAL WHERE I WAS DENIED TREATMENT AGAIN RELEASED WITHIN A HOUR. AS I REGAINED THE ABILITY TO MOVE. HOWEVER PAIN WAS EXCRUEIATING I WAS PRESCRIBED MOTRIN WHICH I DID NOT RECEIVE UNTIL 5 DAYS LATER. I CONTINUED TO HAVE PAIN AND I STILL LOOSE CONSCIOUSNESS FOR NO APPARENT REASON AND FALLING STILL FROM TIME TO TIME. THREE WEEKS LATER I FELL TWICE IN ONE EVENING . I WAS TOO EASELY CLEARED THE FIRST TIME AND NOT SEEN THE SECOND TIME. I WAS ALSO MACED BY A CO WHO STATED “SENCE I HAVE TO DO PAPER WORK TAKE THIS “ MACING ME DIRECTLY IN THE FACE AS I STOOD THERE BLEEDING FROM MY HEAD AFTER FALLING. THAT’S WHAT OCCURRED SO RECENTLY WITH ME. THIS IS JUST A FEW OF THE MANY INCIDENTS OF THIS JAIL. MORE CORRUPTION: LYING, WITH-HOLDING MAIL, WITH-HOLDING FOOD, PHONE CALLS, ALSO HURTING INMATES. MANY WHICH ARE IN CUFFS AND/OR SHACKLED, WHO HAS BEEN MACED IN THE FACE RENDERING THEM UNABLE TO SEE WHILE THEY ARE BEING BEATEN. THERE IS A CURRENT UPROAR OVER INMATES BEING GIVEN SMALLER PORTIONS OF FOOD DUE TO BUDGET CUTS . HOWEVER I HAVE GONE FROM 170 LB DOWN TO 148 LB WHILE BEING HERE FOR 1 YEAR AND 4 MONTHS WE ARE CLOSE TO STARVING IN HERE. FOR LEGAL REASONS AND BEING AFRAID OF THEM READING MY LETTERS AND GETTING HARMED AGAIN MYSELF I WILL NOT ELABORATE ON INDIVIDUAL MATTERS. BUT AS I ENDURE THIS HUNGER STRIKE FOR AT LEAST THE NEXT 30-60 DAYS THIS INSTUTITION IS BEING INVESTIGATED BY CIIC THE CORRECTIONAL INSTITUTION INSPECTION COMMITTEE FOR SOME OF THE ABUSE STATED OFFINCESS. I HAVE RECENTLY BEEN READING ABOUT MANY STRUGGLES AROUND THE WORLD INCLUDING THOSE FOR WORKERS RIGHTS, STUDENTS RIGHTS, HUMAN RIGHTS FOR THE POOR ACROSS THE GLOBE. I HAVE DECIDED TO JOIN THE FIGHT TO TAKE A STAND, MY EXISTENCE IS MEAGER AS I PRESENTLY LIVE ON THREE TO NINE DOLLARS A MONTH WITH MIMINAL FAMILY FINANCIAL SUPPORT AS THEY ARE STRUGGLING AS WELL, SO ONCE I END THIS HUNGER STRIKE I WILL NEED ASSISTANCE AND FINANCIAL AND NET WORKING AS I SEEK TO FURTHER EDUCATE MYSELF ABOUT SOLIDARITY, HUMAN RIGHTS AND DIRECT ACTIONS AND STUDENT MOVEMENTS. I HAVE SEVERAL YEARS LEFT AND WOULD LOVE TO SPEND THEM BROADING MY SCOPE ON EACH OF THOSE MOVEMENTS AND FINDING MY PLACE WITH IN THEM . I WILL ALSO NEED ANTTORNEY TO TAKE ON MY CASE NEGLIGENCE OF THE INSTITUTION ALLOWING A CO NOT A NURSE TO GIVE ME SOMEONE ELSES MEDICATION CAUSING ME HEALTH PROBLEMS. PLEASE WRITE AND STAY INVOLVED AS IT IS VERY HARD FOR US TOO REACH OUT TO YOU ALL FOR SUPPORT AS IT IS YOU CAN EASILY GET THE NUMBER TO THE INSTITITION AND ASK TO SPEAK WITH THE DEPUTY OF SPECIAL SERVICES ABOUT MY HEALTH AND WELL BEING. AS OF MONDAY EVENING 5-23-11 I WILL HAVE MISSED 12 MEALS , BY THE FOLLOWING MONDAY 33 MEALS. THEN I SHOULD BE MOVED TO THE HOSPITAL. YOU CAN SEND DONATIONS TO ME AS WELL INCLUDE MY NAME AND NUMBER AND A CLEAR SIGINATURE AND RETURN ADDRESS IF U DON’T WISH TO USE A RETURNED ADDRESS PLEASE GO TO JPAY.COM AND USE MY INMATE NAME AND NUMBER. MY FACEBOOK ADDRESS IS : QUENCY YOUNG MY EMAIL ADDRESS IS quencyyoung@yhoo.com MOTHER WILL RESPOND TO ALL COMMENTS AND LETTERS. I AM MARGARET MCCLOUD A VERY CONCERNED MOTHER OF QUENCY YOUNG A INMATE IN LUCASVILLE CORRECTIONS . I AM AFRAID OF MY SON AND MANY MORE WONT MAKE IT HOME SAFE OR AT ALL THE JAIL IS CORRUPT AND VERY EVIL PEOPLE WORK THERE. THIS IS MY SON’S LETTER TO ALL THAT WILL LISTEN OR HELP HIM. In The Name of Allah Most Gracious, Most Merciful. i can relate to these brothers perception of the state. 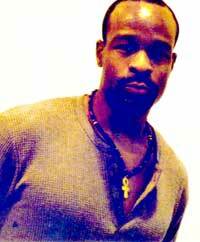 I was a former prisoner myself and celled with some of those that was in the riotbut most of them had slow leaks in there mouth and lied on brothers only to better their siuation. It is the nature of humans. I would like to say that these brothers have paved a way and altered things in the penal system here in Ohio. Somebody have to do, just so happen by the will of Allah it was the rebels now facing death for fighting for their rights. Know that you brothers are facing death for something rather nothing and it was showed that race is an idealogy that can be overcome when you have a common enemy. But we all have a common enemy, THE SHAITAN (SATAN)!!! !